Ugh, leather leggings. Seriously a staple in any gals wardrobe. I love the fact that they can easily be dressed up like the above photos for a date night or casual which you can see in this post here. Since I talked a lot about my love for leather leggings in that older post, I won't gush too much about them. Right now, I feel like all I wear is jeans. I am getting so sick of just wearing jeans. Usually, in the summer, I wear a ton of dresses but I don't do that in the winter because in Michigan I would freeze, so I only wear dresses on the occasion, like here. So that is where leather leggings come into play. They are so easy to style and really are a classic piece to own. I have been doing a ton of shopping lately. The reason for that is I wanted to buy more affordable clothing pieces. With that being said, I have done my research and am giving some new retailers I usually wouldn't shop at, a try. I received a lot of my packages (I have been waiting so patiently) last night but have yet to try them on. My hope for this is to discover some new pieces I love and need to share with you all about. Everything is giving me major spring vibes and I seriously cannot wait for the changing of the seasons. I swear when I start shopping for spring clothes, the weather gets worse. For example, there is a major winter storm happening right now. So well I am trying on all my spring clothing pretending I could go outside in my wedges without a coat on, there are about 6-9inchs of snow on the ground. Stay warm out there! 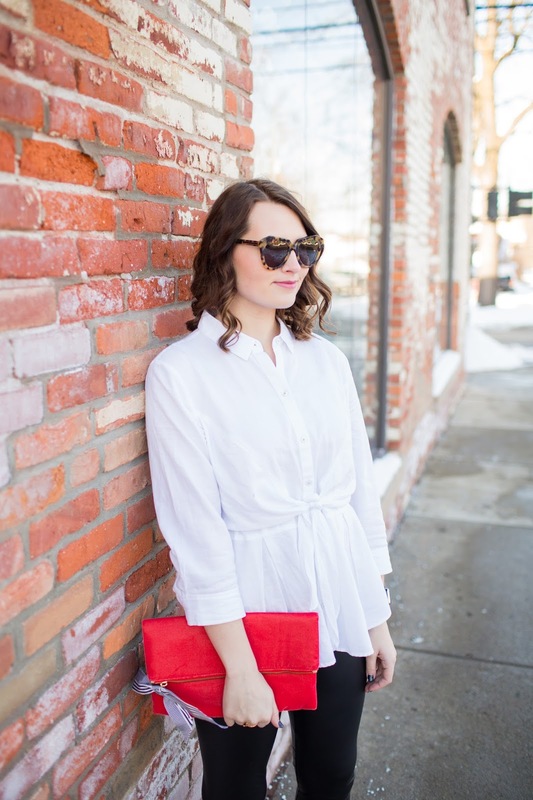 love the pops of red here! 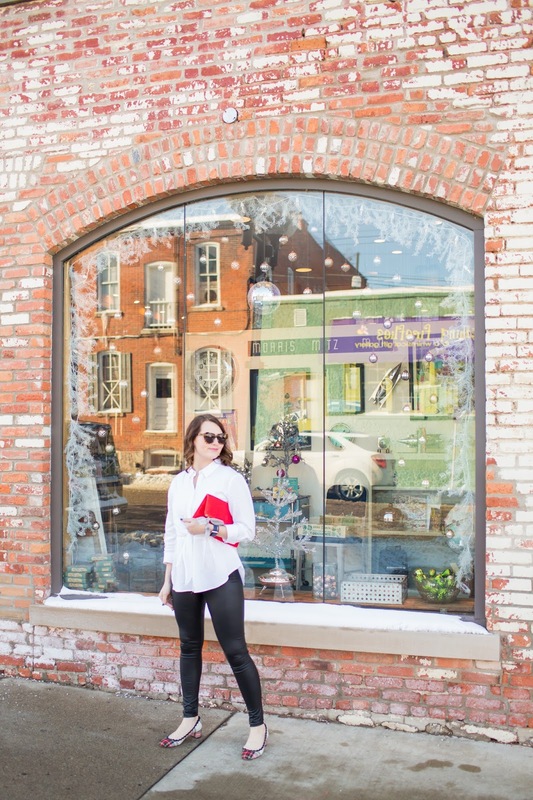 I love the pop of color, and those flats are too cute! Love the whole look girl! 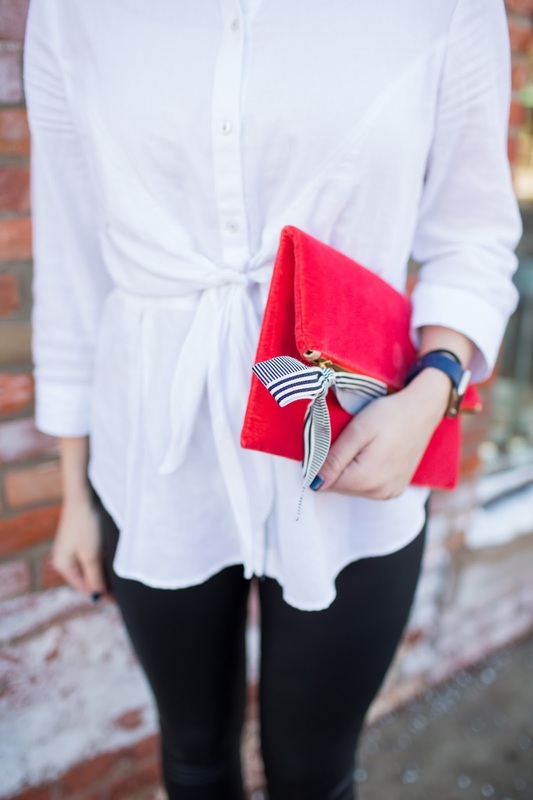 The pop of color with your clutch just ties the whole look together. We've been really loving shopping at places we normally don't. Love how you styled those leggings! Those plaid flats are the cutest! Love these leggings girl!! Love how you styled them, so chic! Leather leggings are the best! I literally wear mine all the time! What a cute look! 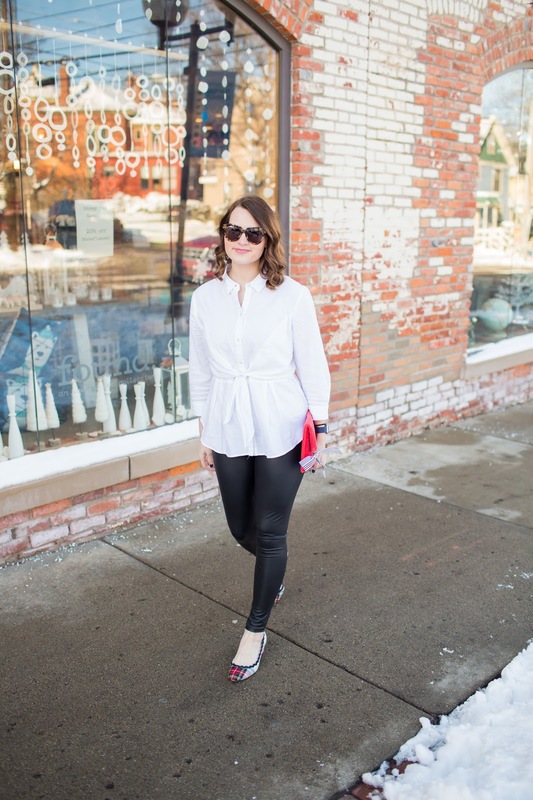 I how you styled these leggings! 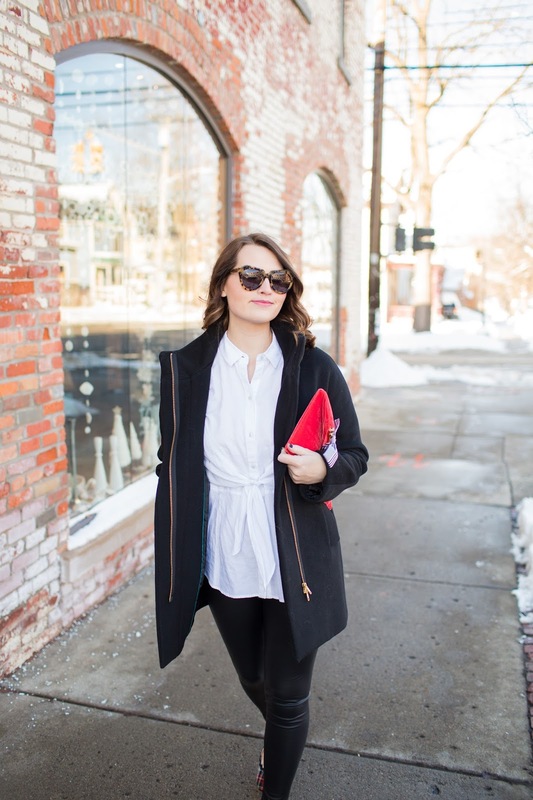 I love how you styled these leggings!! Your flats and clutch are super cute! Love the leggings and how you styled them.